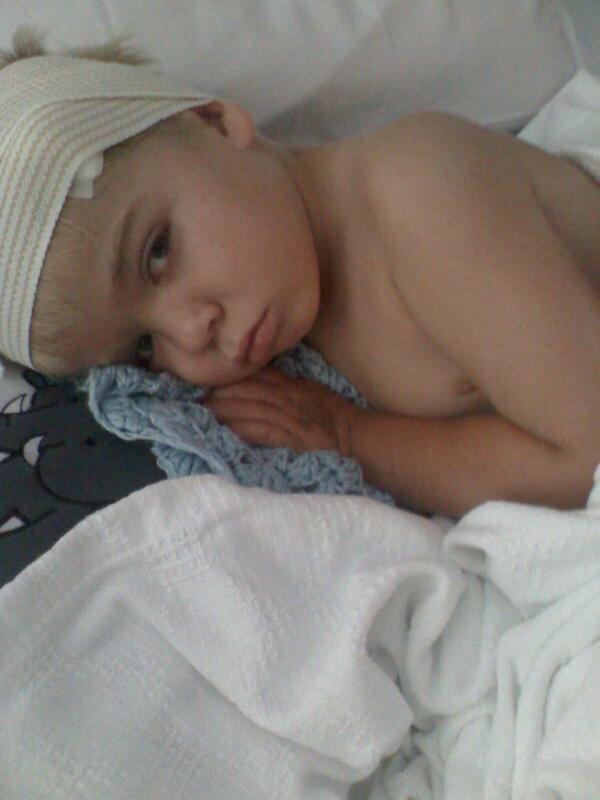 The dr’s removed the drain and Jayden is recovering i our room. He is doing well. We have to watch for symptoms similar to the ones that brought us here…low heart rate, high blood pressure, overtired, leaking from head, vomiting, fever,….if none are present, we can probably go home after lunch tomorrow. The dr is concerned at the amount of fluid Jayden makes and says there is a 20% chance that this could happen again…or Jayden could experience pressure from the fluids, so we will have to be careful the rest of is life. But, praise God for all the good news and rally, being here quickly reminds you it could be much much worse. keeping up on your posts and hoping J comes home soon- love you guys! Good to hear…oh yeah and I LOVE the slogan. Yay for Jayden! we love you guys and will continue to pray! That picture of J is sad but sweet. He looks like he is so ready to go home. I'm so glad to hear the good news. Ill be praying that the transition from hospital to home goes smoothly. You guys are never far from my thoughts and are definitely in my prayers. I love you lots. Give J a kiss from his Aunt Ri-Ri. Praying that all goes well tomorrow and you can all go home! Love you all!